Restore accidentally deleted files in just a few moments, worth $29.95, for free, with this weekend's giveaway! 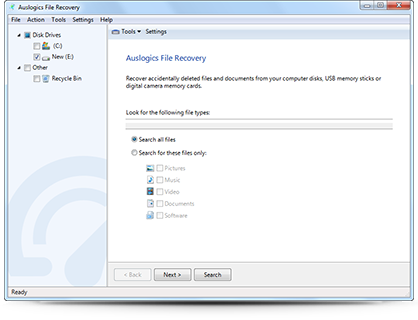 Between Friday 11 August and midnight Sunday 13 August PDT, you get Auslogics File Recovery 7, worth $29.95, for free. Auslogics File Recovery 7 is a powerful undelete tool that will quickly bring many lost files back from the dead. Giveaway available between Friday 11 August and midnight Sunday 13 August PDT. As part of this offer but you must activate before Monday 14 August 1am PDT. Important: As part of this offer but you must activate before Monday 14 August 1am PDT.